You are here: Home » Kitchen » Countertops » Going Green with GEOS Surfaces for Your Home Countertops! Here at CK Custom Kitchens, our selection of countertops is absolutely astounding! We’ve already told you all about Silestone products, but have you ever heard of GEOS Surfaces? 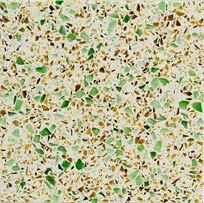 It’s a countertop for kitchens or bathrooms that blend recycled glass into an innovative surface that has superior strength and amazing beauty. 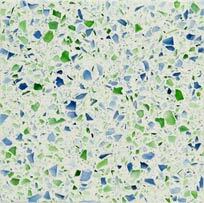 GEOS Surfaces strives to make a visual statement while also being environmentally friendly and affordable. The combine the cast-off resources that people leave behind with superior binders to result in a fusion of strength and beauty without harming the planet. GEOS Sustainable Surfaces are very easily maintained. The surface itself is durable, heat and scratch resistant. Please note: these surfaces are not heat/scratch proof. Treat them like you would with any other countertop and use hot pads and cutting boards. Normal routine cleaning is perfect for these surfaces, too, no special care required! GEOS Surfaces would be an excellent addition to your beautiful. Not only are they earth-friendly, but also you have the choice between a countertop with a colorful character or one that is more modern and neutral. It’s up to you! If you are interested in seeing samples of this beautiful countertop, CK Custom Kitchens will be happy to show you! As the best store for kitchen renovation on the Outer Banks, we can easily help you find the best products to remodel your kitchen or bathroom!